Dokha is an Arabian tobacco, mixed with leaves, bark and herbs, generally inhaled in small single servings from a miniature smoking pipe called a Medwakh. It is popular in the United Arab Emirates, Qatar, Oman and other Middle Eastern countries. Dokha comes in many strengths, flavours and names. The strengths range from cold = light to extra hot = the harshest. It can also be flavoured with strawberries, banana, apple, raspberries and a variety of other fruits or completely without a fruit flavor. 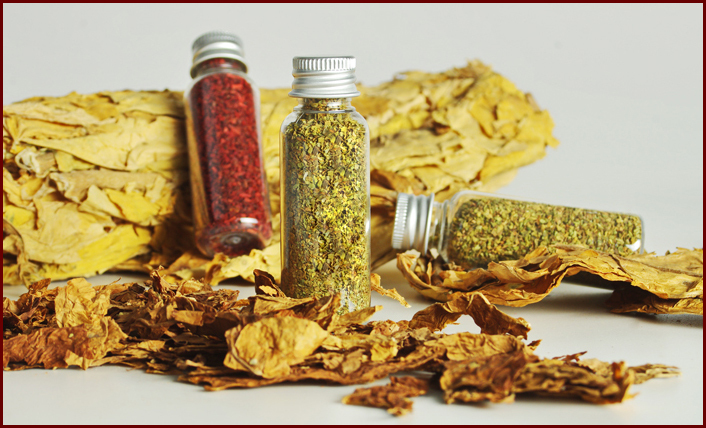 Unlike flavored Shisha-tobacco, Dokha is not flavored with molasses. The scale for the harshness from the nicotine is called "buzz" (translated literally from Arabic: head spin). Loupolus Pipes provides different blends of Dokha on request.